Innovate UK have granted £430,332 of funding to design and integrate a hydrogen diesel dual fuel injection system onboard a commercial ferry. 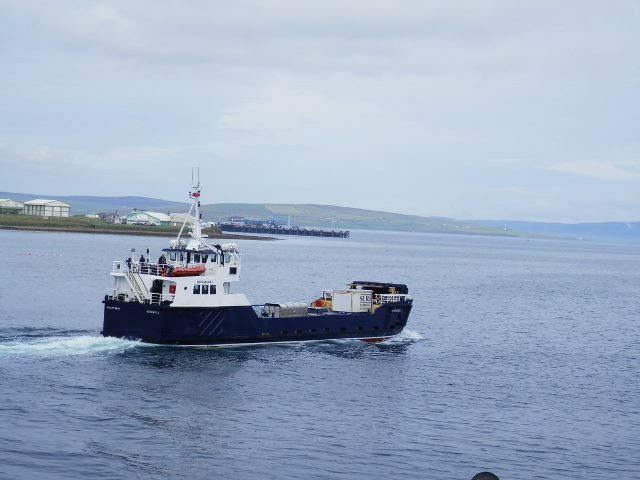 The hydrogen to be used in the project will be produced by the European Marine Energy Centre (EMEC) in Orkney, from the abundance of clean renewable energy sources available on the islands and will power a ferry operating between the main town of Kirkwall and the island of Shapinsay. The 12-month HyDIME (Hydrogen Diesel Injection in a Marine Environment) project, formally started on 1st August 2018, will provide a stepping stone to de-risk and kick-start future hydrogen marine projects and contribute to reducing emissions within the maritime industry. 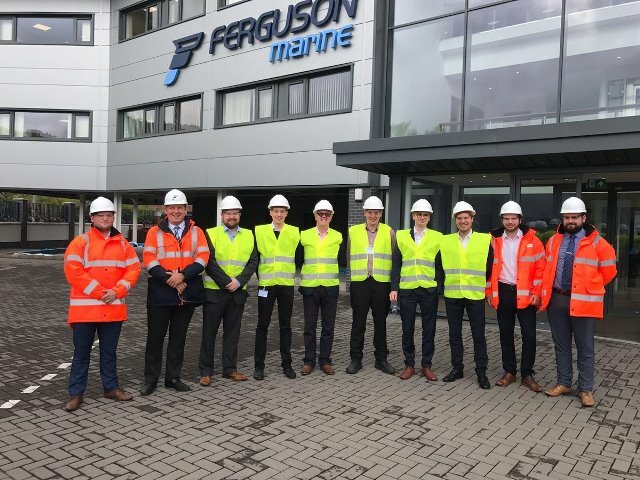 Led by Ferguson Marine Engineering Limited, the project will be executed by a consortium consisting of Orkney Islands Council, High Speed Sustainable Manufacturing Institute (HSSMI), the European Marine Energy Centre (EMEC), and Lloyds Register. The project will apply, with Ultra Low Emission Mileage Company (ULEMCo), a globally unique technology in hydrogen dual fuel. With the need to reduce harmful emissions, using hydrogen as a fuel is becoming increasingly popular as an alternative to fossil fuels. Hydrogen/diesel injection technology is already being demonstrated within the automotive industry and can significantly reduce harmful emissions. The aim of HyDIME is to prove the use of hydrogen/diesel injection technology in the marine industry. Ferguson Marine, in conjunction ULEMCo will develop the design of how this technology can work in tandem with existing systems to power auxiliary units onboard vessels. Following this, the system will be physically integrated and will result in the UK’s first hydrogen injection system on this type of vessel. Orkney is the ideal location for the HyDIME project. As one of the renewable energy leaders in the UK, Orkney offers the infrastructure to produce completely green hydrogen. On the Island of Eday, there is often a surplus of renewable electricity which, instead of being wasted, is fed into an electrolyser sited at EMEC’s tidal test facility. The electrolyser splits water into hydrogen and oxygen, the former of which can then be stored and transported. As part of the project, HSSMI will conduct a scale-up analysis and carry out a techno-economic assessment of the current system and of potential future scenarios. The aim is to determine if there are any other regions of the UK where similar hydrogen infrastructure could be implemented, leading to similar and larger projects to contribute towards growing the hydrogen economy in the UK.